What do Need to Brew Espresso on the Stovetop? ​​​​​​​​​How Do You Use a Moka Pot? How Do You Clean Your Moka Pot? How Do You Eliminate Mineral Buildup in a Moka Pot? Technically, authentic espresso cannot be prepared without a true espresso machine. However, if you'd like to enjoy a similar, concentrated taste at home without an espresso machine, it is possible to brew a cup of espresso on your stovetop. Espresso is brewed on the stovetop using a special "Italian coffee maker" – a moka pot. A moka pot utilizes the power of steam to force hot water from the bottom of the pot up through the coffee, similar to the way an espresso machine forces water through the grounds at high pressures. A moka pot is easy – and even enjoyable – to use. Fill the bottom compartment of the pot with water up to the level of the safety valve. You can use a little less water if desired for a stronger concentration of espresso, but you should avoid filling past the safety valve to avert emergencies. Consider using filtered water to give the espresso a pure taste. This is especially important if you have hard water, since mineral buildup can even damage your moka pot over time. Choose coffee grounds that are coarser than espresso grounds to allow steam to pass through the coffee. The grounds can be a bit finer than regular, however.  Many people find that stovetop espresso is best made with grounds about the consistency of the grounds used for pour over coffee. Insert the middle compartment of the pot and fill it with coffee grounds. Do not tamp the grounds, or steam will not be able to pass through the coffee. The filter funnel must be completely filled with coffee to allow steam pressure to build up effectively during brewing. Consider purchasing a moka pot with an adjustable screen that will allow you to choose to brew greater or lesser quantities at a time. Assemble the rest of the pot and put it over medium heat. Be careful not to allow the handle of the pot to come into contact with the heating source. Avoid "burning" the coffee by overheating it. This will result in a bitter flavor. Excessive heat could even lead to a malfunction of the moka pot. Listen for gurgling sounds and turn down the heat. Your espresso will be finished brewing when the gurgling sounds stop. Peek inside to see if coffee has stopped pouring out of the central column of the pot to make sure that it has finished brewing. 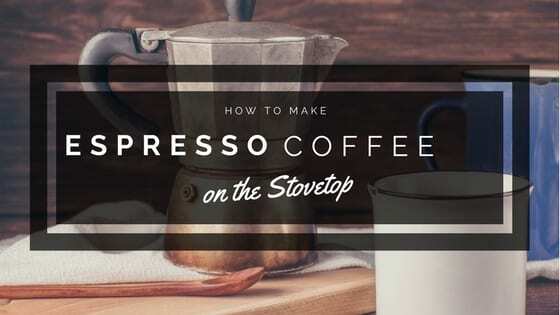 Check out this video on further tips how to make an espresso on the stovetop. Or, of course, you can enjoy your shot of espresso straight. Stovetop espresso is fun because you can prepare it nearly anywhere. A moka pot provides espresso-on-the-go, and using a stovetop is not the only option. A moka pot can also brew a great espresso on a hotplate – or even over a campfire. Now, that sounds like fun! Easiest moka pot maintenance begins with the best pot, which will probably be a stainless-steel pot. Aluminium pots are more susceptible to corrosion and thus require more careful maintenance. However, any moka pot will benefit from knowledgeable, careful handling and cleaning. IMPORTANT: Never put any part of your moka pot into the dishwasher. Even regular dish detergents can harm the inside of your pot and contribute negatively to the flavor of the espresso when it's brewed. In fact, many stovetop espresso enthusiasts prize a pot that has been "seasoned" with repeated use. A "seasoned" moka pot often exhibits a dark coloring inside caused by coffee buildup over time. This coating of coffee is thought by many to give subsequent shots of espresso a greater depth and purity of flavour than could be obtained with a new pot. Some people wash their moka pots only by scrubbing them gently with plain water. Nonetheless, if you would like to provide a more thorough cleansing for your pot, this can be safely performed using a mixture of white vinegar and lemon juice. Finally, always dry your moka pot thoroughly to prevent corrosion – never allow any part of the pot to air-dry. A more thorough cleaning with vinegar and lemon juice is especially important if your pot has not been used in some time. In this case, the inner layer of "seasoning" has probably become rancid and will negatively affect the flavour of the espresso when brewed. If you have not used pure, filtered water in your moka pot and a layer of mineral deposits has begun to build up on the inside of it, you may find it necessary to "descale" the pot. It is easy; just follow the steps provided below. Fill the bottom compartment of the pot half full of filtered water. Fill the rest of the compartment with white vinegar. Allow the mixture to percolate over low heat for a short time. Rinse all parts of the pot well before brewing espresso. It is worth noting that descaling should only be performed when absolutely necessary for the maintenance of the moka pot, since descaling eliminates the healthy "seasoning" layer of the pot and thus subtly changes the flavor of the espresso. The quality of the pot does affect the quality of the espresso. Many serious stovetop espresso lovers choose pots made in Italy. After all, stovetop espresso originated in Italy, where the first moka pot was invented in the 1930's. A popular Italian brand is Bialetti. We recommend the Bialetti Moka Express which is available on Amazon in different sizes. Consider the material from which the pot is constructed. Stainless-steel is more durable – and more expensive. Decide which is right for you. Also think about your intended use of your future moka pot. Some may be much better suited for that campfire experience that you're planning than others, for example. And don't forget to check on the capacity of the pot you are considering for purchase. Some are designed to produce and single shot of espresso, while others will brew more. Pots provided with an adjustable screen will even allow you a limited choice of capacity. Don't judge your new moka pot until you have seasoned it first. 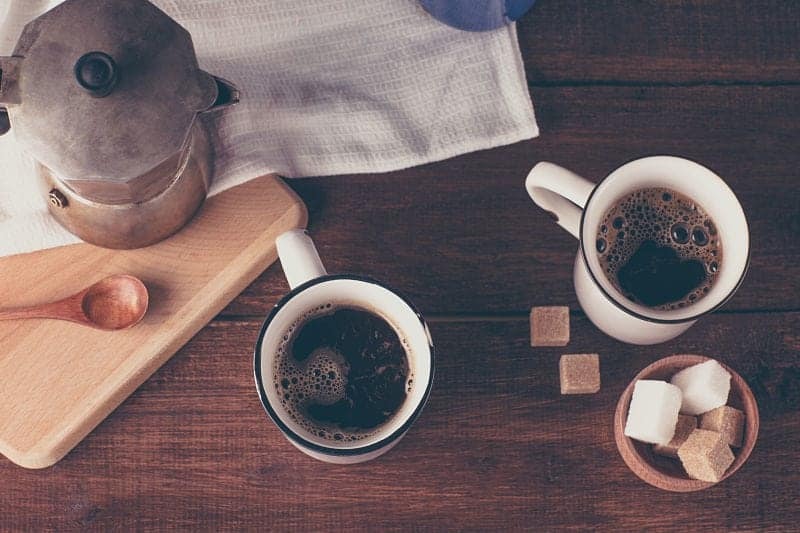 Brew a few pots of cheap coffee (you will probably want to simply throw them away) before trying your first taste of stovetop espresso from your new pot. That way you will be experiencing its optimal flavour capacities. Obviously, the safety seal in your pot is an extremely important component, and in order for it to function effectively, it must remain healthy. It is recommended that you replace the seal in your pot at least once every six months. A seal's integrity has been compromised when it shows evidence of buildup or any type of damage. Simply make sure that you're choosing the correct size of seal for your pot, slip out the aging seal, and replace it with the new one you have purchased. The good news is that with the exception of needing a replacement of safety seals, your moka pot does not require any further accessories in order to function beautifully for you for years to come. In fact, the older it gets – the more "seasoned" it becomes – the richer and deeper the flavor of stovetop espresso it will brew for you. Stovetop espresso is essentially a do-it-yourself kind of experience, and that means that you will have the freedom to experiment until you find out what works best for you. Along the way, you will discover your own "tips and tricks" for brewing that perfect shot of stovetop espresso. When you do, be sure to share them with the rest of us in the comment section below! Also, tell us how you "take your coffee." What additions do you make in order to create that perfect coffee experience? Previous Post Why Is Mineral Water Served with Espresso? Next Post Can Espresso Powder Go Bad?